I'm just crazy about Britta Teckentrup's fabulous artwork (her book Bee featured in my last post on My Top Five Favourite Picture Books). Her artwork takes picture book illustration to a whole other level into irresitible pieces of art that I just want to frame. And I'm delighted that there's a new series of books that introduces these stylish illustrations to the littlest reader in our house. BookBairn has several of her spotting books and we enjoy looking over the illustrations to find the odd one out, or the matching pair. But for a long time she was too young to join in. But now there's a new series for little tots. 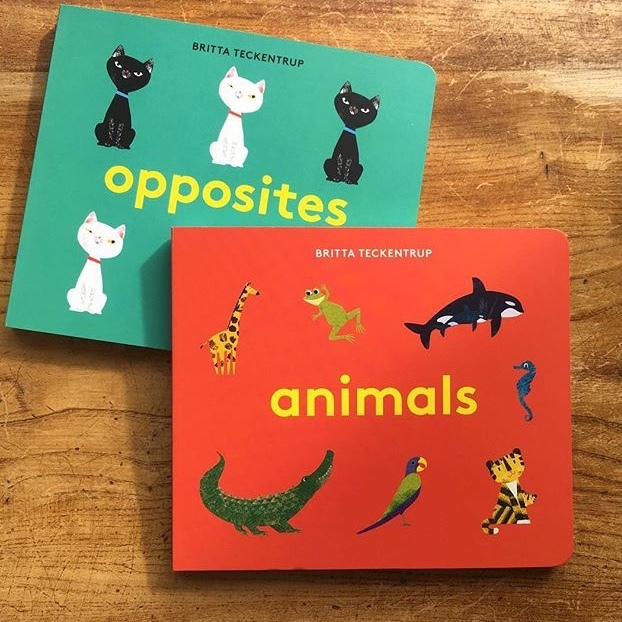 I'm not saying The Wee Page Turner can spot the odd one out in the 'Opposites' book or match the mother and baby in 'Animals' yet. Yet (in a blink of an eye he'll be all grown up and able to do this with ease). But he already really appreciates the high contrast colours and different images. We can sit and talk about the pictures, something so valuable to little ears, who pick up everything. And BookBairn can read these to him and help him find the matches. These would make a very stylish new baby gift and as little hands learn to grasp the pages they will love the pop of colour and uncluttered design. Artistic, simple, clever. Love them. 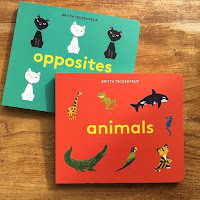 *There are also four others in the series - 'Animal Spots and Stripes', 'Animal 123', 'Colours' and 'First Words' which are no doubt excellent too. These look like great books. I’m sure the Wee Page Turner will love them. Nice to think of BookBairn reading to him. 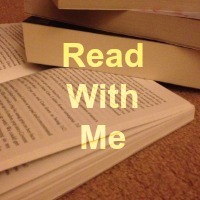 I love them reading together but mostly BookBairn doesn't share books! 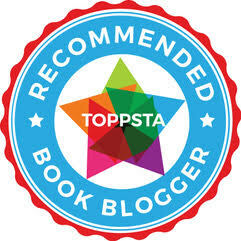 Lovely books and I would also point of here quite robust so can put up with plenty of handling (and bit of chewing). Yup - they are chewable! He's growing up way too quickly! Hope you like them! I just love Britta's work!